Be Creative Mummy / UK lifestyle Blog / Crafts: Planning a first birthday. Octopus Finger Puppets. Planning a first birthday. 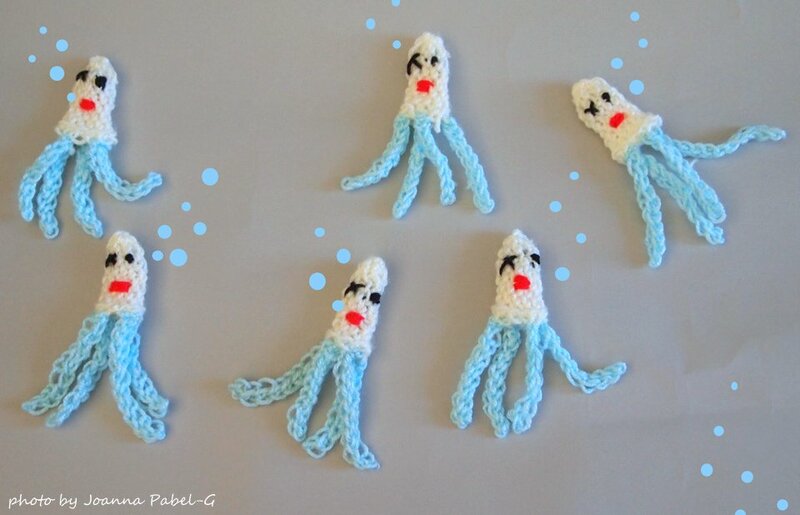 Octopus Finger Puppets. Our son's first birthday is coming up soon and we are planning a small party with family and friends. We are doing an ocean theme party because in Hawaiian, Kai (Our son's name) means "ocean" or "ocean water". I am not a fan of ready-made goodie bags, but I really like the idea . 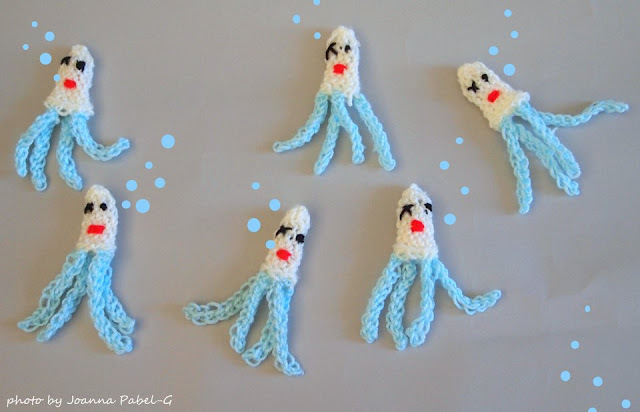 I made Octopus Crochet Finger Puppets. Very cute. Lucky little man! Nie wiedziałam, że jego imię znaczy "ocean"... pięknie! I świetny temat na urodziny! Nie mogę doczekać się reszty dekoracji! They're very cute. :) I'm visiting today from Thumping Thursdays. P.S. I love your blog header! How many days till Christmas?